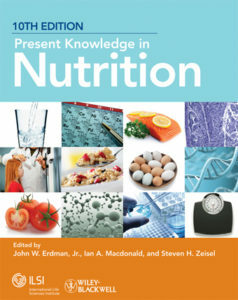 Present Knowledge in Nutrition, Tenth Edition provides comprehensive coverage of all aspects of human nutrition, including micronutrients, systems biology, immunity, public health, international nutrition, and the role of diet in disease prevention. This definitive reference captures the current state of this vital and dynamic science from an international perspective, featuring nearly 140 expert authors from 14 countries around the world. This single-volume tenth edition contains new chapters on topics such as epigenetics, metabolomics, and sports nutrition. The remaining chapters have been thoroughly updated to reflect recent developments. Suggested reading lists are provided for readers wishing to delve further into specific subject areas. Book owners have exclusive access to an image bank of all 176 tables and 163 figures, which are available for download. Tip: The Password is a two-word combination with no space or punctuation between the words. It begins with the first abbreviation used in the heading of Table 12.3 followed directly by the last word of the dedication. The first part of the password has four characters and the second part has ten characters. Now available in both print and electronic formats, the 10th edition is a valuable reference for researchers, health professionals, and policy experts as well as educators and advanced students of nutrition.